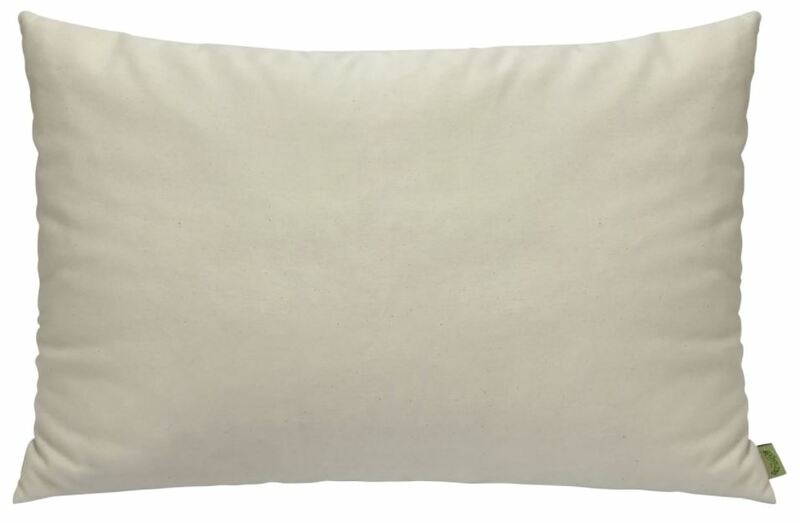 Natura Dream latex pillow is made of granulated latex. 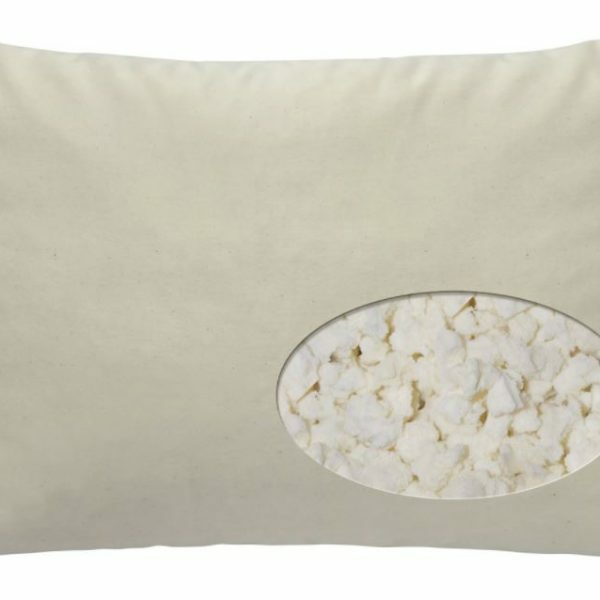 The plush, granulated latex fill provides squishable, moldable comfort and naturally diminishes sleep disturbing allergens. 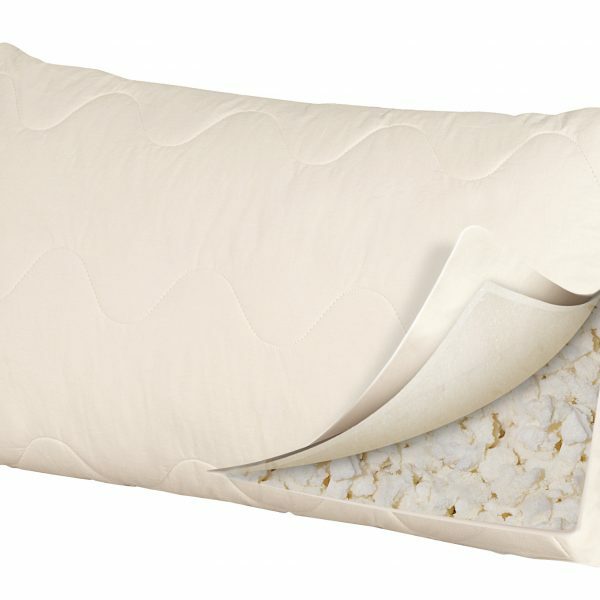 Pick up your Natura Dream latex pillow in store if you live in Montreal or have it shipped anywhere in Canada! 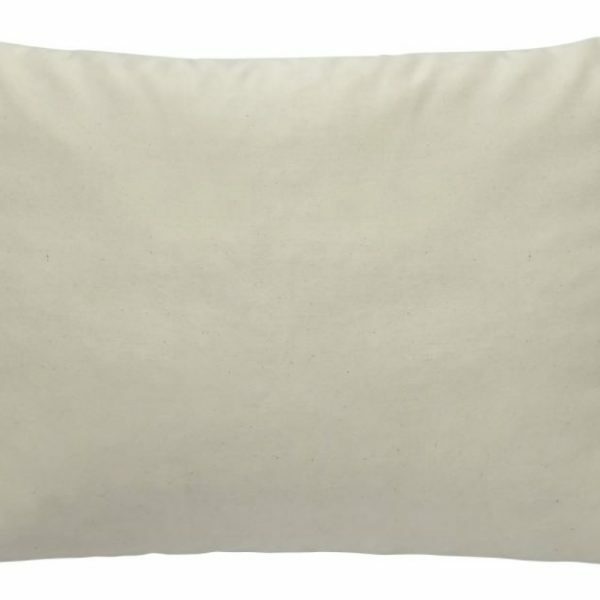 Tags: dust mites, hypoallergenic, latex pillow, made in Quebec, Natura. People need a good nights sleep, but too often ‘sleep disturbing allergens’, pressure‑point discomfort, or temperature struggles interfere with getting the rest we need. Natura™ addresses these problems naturally. At Natura™ we provide sleep solutions ranging from pillows, bed toppers, comforters and mattresses. We look at a person’s whole sleep environment for answers. Natura™ focuses on quality and value, honesty and customer service and constant innovation to solve sleep challenges. Your bed should be a haven from the rest of the world, soothing and comfortable, free from irritants and allergens. Simply put, Natura™ matches eco-integrity with cutting edge technology to create handcrafted, naturally healthy sleep systems. Our products are made with green, natural and organic materials because we know natural is always better. 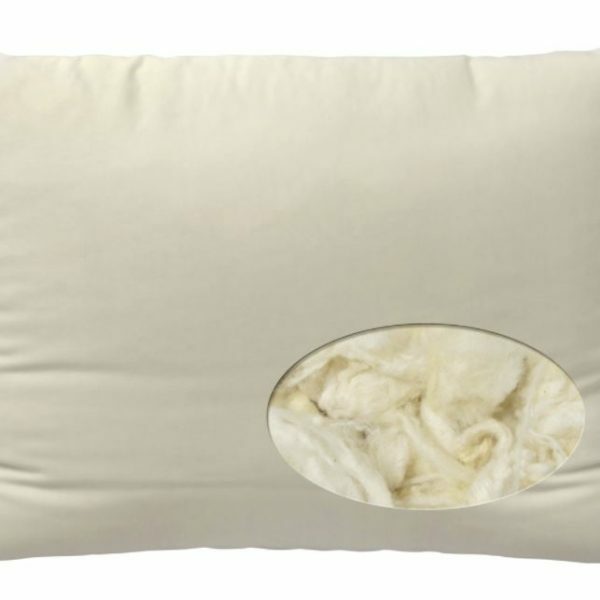 The Classic All Season Comforter enfolds you in the healthy embrace of all-natural cotton and wool. A cozy 3.65 lb NaturaWool™ layer wicks away moisture to keep bedding fresh and temperature regulated, no matter the season. 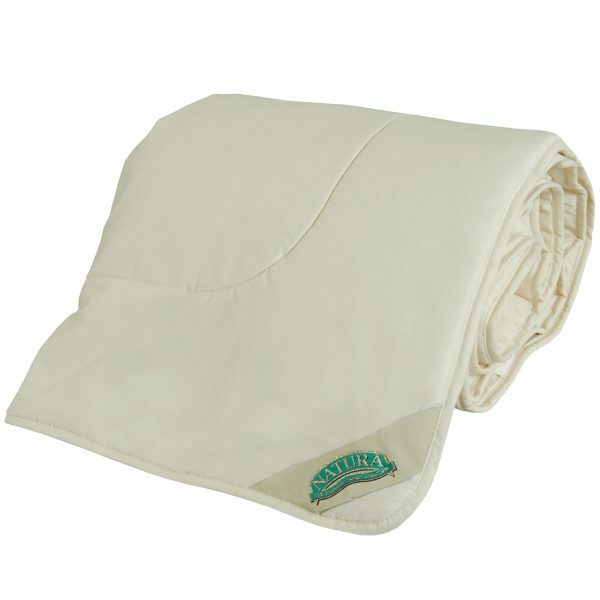 This cotton comforter provides a dry sleep environment that diminishes night-time allergens for a restful, sniffle free night’s rest. 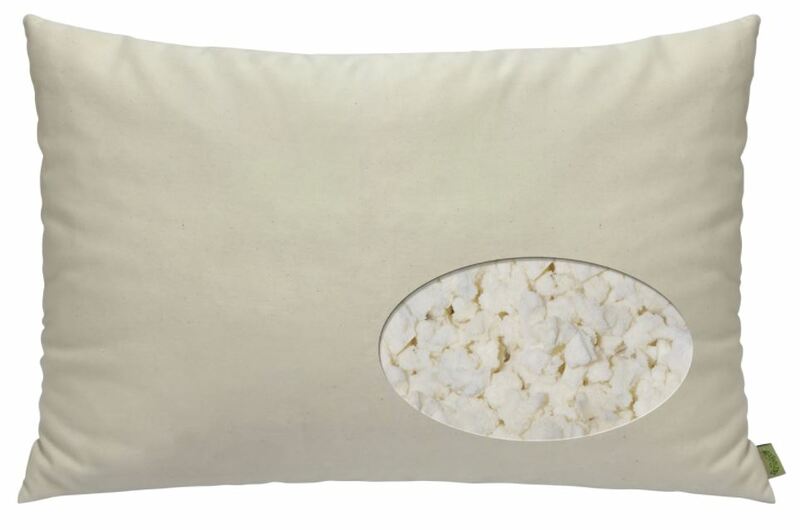 The soothing, 100% cotton cover is quilted to eliminate shifting and hollow spots, for constant, delicious comfort.